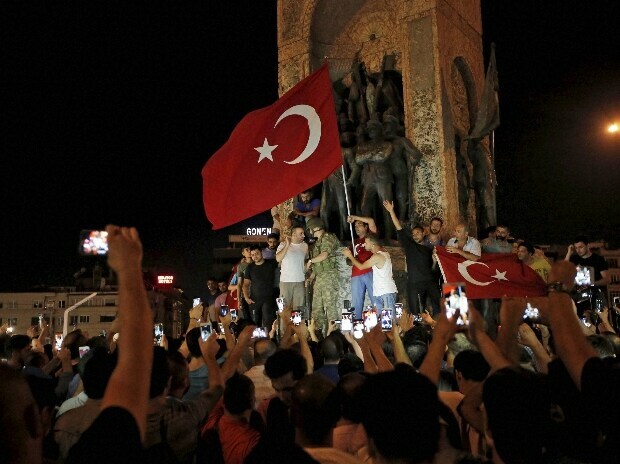 Supporters of Turkey's President Recep Tayyip Erdogan, gather in Istanbul's Taksim square, early Saturday, July 16, 2016. 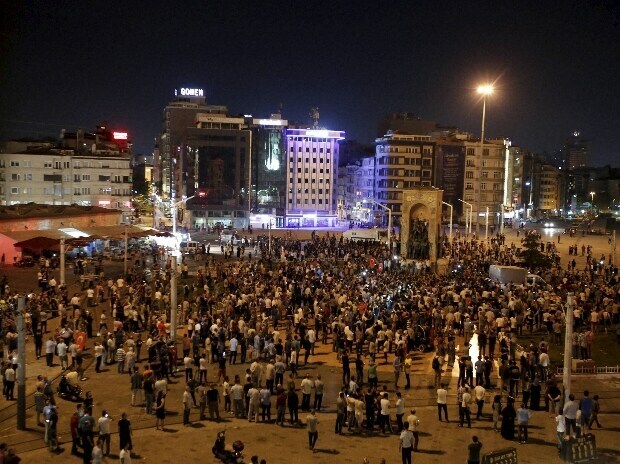 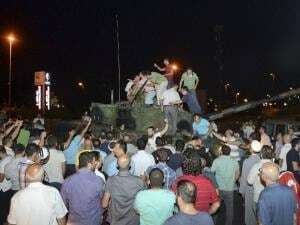 Members of Turkey's armed forces said they had taken control of the country Friday as explosions, gunfire and a reported air battle between loyalist forces and coup supporters erupted in the capital. 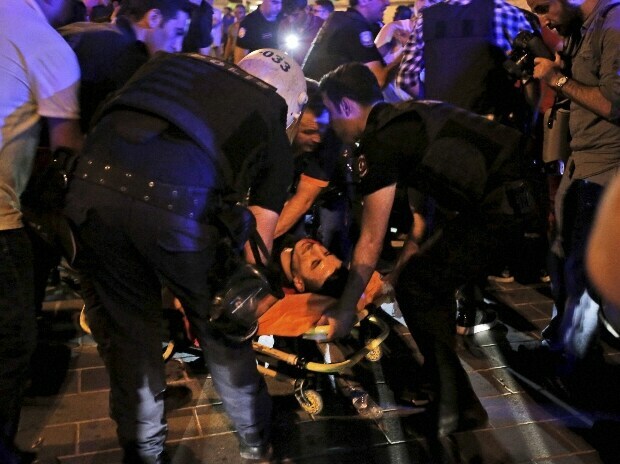 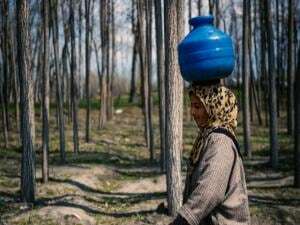 President Erdogan remained defiant and called on people to take to the streets to show support for his embattled government. 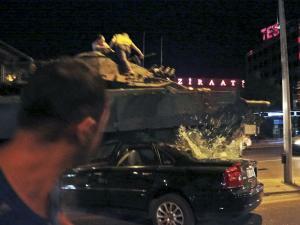 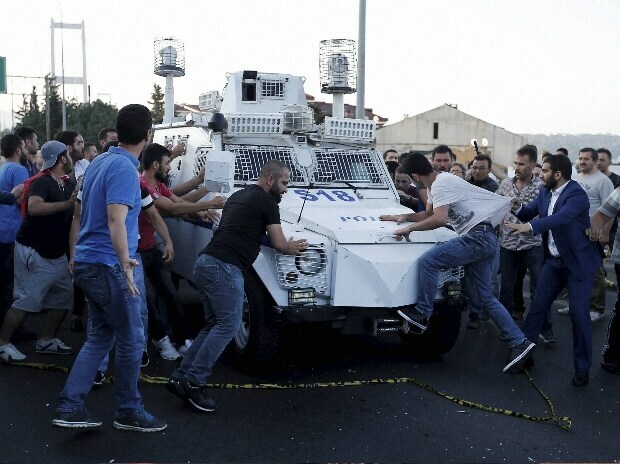 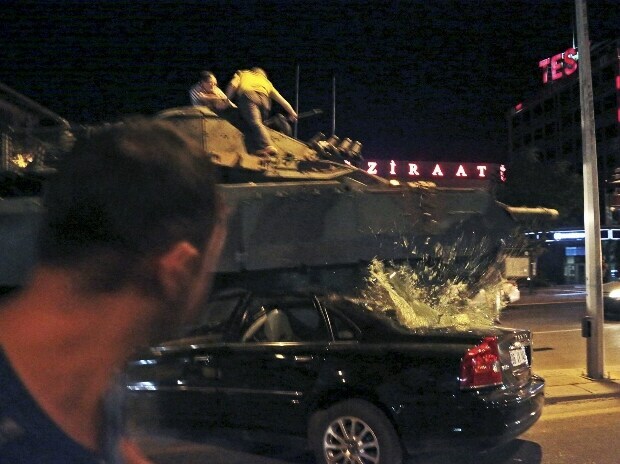 A tank moving into position crashes over a car as Turkish people attempt to stop it, in Ankara, Turkey. People attack and try to stop a Turkish police armored vehicle, carrying Turkish soldiers that participated in the coup and surrendered, backdropped by Istanbul's iconic Bosporus Bridge.